The Socialist Party received the attached letter from Nestlé complaining about the Socialist Party's use of their copyrighted logo (for which we did not seek their permission) on our poster concerning the issue of workers' rights. The use of the logo and that of other high profile multinationals to replace the stars on the EU flag was designed to convey our view that the EU is run primarily in the interests of the multinational corporations. However, as can be seen from the Nestlé letter, they fear that the appearance of their logo conveys the notion that the Socialist Party's No to Lisbon campaign is supported by Nestlé! The Socialist Party is more than happy to clarify publically to anybody who thinks otherwise from viewing the poster that Nestlé do not support the objectives of the Socialist Party. September edition of the Socialist now online. Click above to fick through, read or print. AS THE advert says, “Do you remember the Celtic Tiger?” – well it’s long gone and working class people are being hammered by the Celtic recession. Now is the time to get organised to fight back. The trade union leaders have again, been found wanting. They allowed the imposition of the pensions levy, the income levies and massive attacks on our public services. As a direct result of these attacks thousands of workers are being made redundant in the public sector. The average family has lost thousands of euro and the trade unions have done nothing. They have sat on their hands while tens of thousands of workers have been thrown onto the dole. DURING HIS end of year address Pope Benedict spoke of the destruction of the rainforest and an apparently equally sinister threat. Pope Benedict said that saving humanity from homosexual or transexual behaviour was just as important as saving the rainforest from destruction! 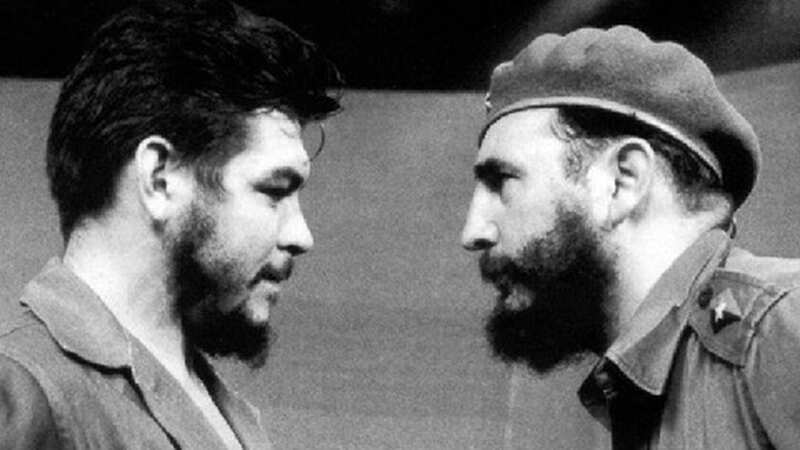 The first volume of a film directed by Steven Soderbergh and starring Benicio del Torro is in the cinemas that depicts the life of Che Guevara, legendary leader of the Cuban Revolution is in the cinema. Viewers of the first film, despite some moments of insight, may well be left underwhelmed by a film that deals predominantly with the period in time in which Che is engaging in guerrilla action in the harsh Sierra Maestra hills of Cuba in the period up to the January 1959 victory of the revolution.